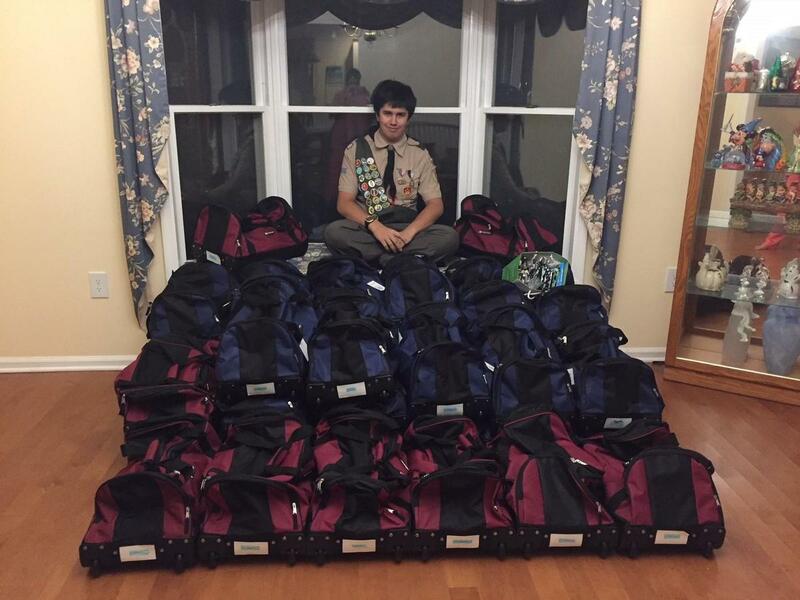 When Vijay Palkhiwala started thinking about what he wanted to do in order to complete his Eagle Scout project, there was one thing he knew for sure. “I knew I wanted to do something that would make a difference,’’ said Palkhiwala, a senior at Union Catholic. Palkhiwala, who lives in Maplewood, came up with a great idea for his project after he had a flashback to a friend he had in middle school. So Palkhiwala reached out to the Court Appointed Special Advocates (CASA) in Cumberland, Salem and Gloucester Counties, who have been running a duffel bag program, and expressed his interest to help. CASA is a national association that supports and promotes court-appointed advocates for abused or neglected children in order to provide children with a safe and healthy environment in permanent homes. Palkhiwala spent some money out of his own pocket and raised funds by holding canister drives outside stores in Maplewood for two weekends over the summer. Palkhiwala raised enough money to purchase 40 duffel bags that he filled with blankets, toys, and basic essentials such as toothbrushes, toothpaste, and other toiletry items, and donated them to CASA. Palkhiwala, who founded the Internet Club at UC and is a board operator for UC’s Livestream, had always dreamed of becoming an Eagle Scout.